Graphite drawing on acid free paper. 11 x 14 inches. Unique family portraits, must have high res. photos to work from. 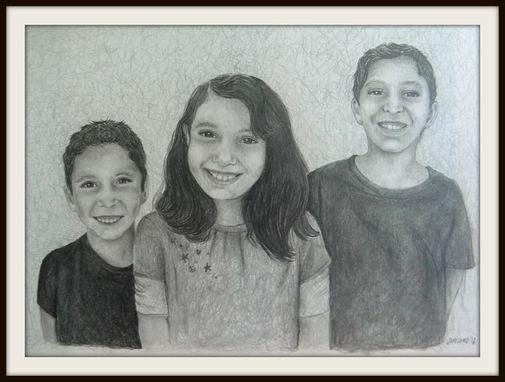 This is a drawing done of my friends children, they were very happy to have a drawing done of them!